And whether you’re hosting 75 or 400 guests, we are committed to making your extended wedding festivities magical and memorable for years to come. The options are endless and we’re here to accommodate - from a laid-back gathering of 80 to a weekend-long grand celebration for 250 guests (or more! ), our experienced events staff will guide you every step of the way, leaving no stone unturned. You and your bridal party, extended family and close friends arrive on site for an intimate Rehearsal at either our Waterside Pavilion or Barn. Enjoy a post-event Bonfire and delicious on-site dinner before retiring to one of our properties to rest up for the big day. Our staff will be busy setting up in the morning, while you and your bridal party begin to get ready. Your guests can enjoy lawn games and interact with our animals on our grounds while your photography team begins to capture breathtaking mountaintop views and the joy of the day. Your ceremony takes place in the splendor of our natural surroundings - popular choices are under an old maple tree or on top of a mountain with panoramic views. Rest assured that your guests will have accessed the ceremony grounds with ease, as our capable staff will handle parking and golf cart transport throughout the property. From there, your wedding party and guests can enjoy cocktails and take in the sunset at our Waterside Pavilion while accompanied by live music or a DJ. Head over to our rustic-chic, fully-restored and temperature-controlled venue Barn for your wedding reception and be prepared to dance the night away, as there is no curfew at Stone Tavern Farm! Guests feeling playful? Assorted lawn games, volleyball court and a bonfire will keep the festivities going all night long. As your evening continues on, delight in special enhancements like fireworks and late night pizza delivery. Round out your wedding weekend with a relaxed optional Sunday Brunch, and begin your "happily ever after" as you depart the Farm. Stone Tavern Farm event staff does not leave a stone unturned. It is our distinct pleasure to include picnic tables, all event tables and chairs in your event package, as well as party lights, ice, trash removal, early arrival storage, restrooms, attendants for custodial, bathroom and parking services, tiki torches and bonfire materials. 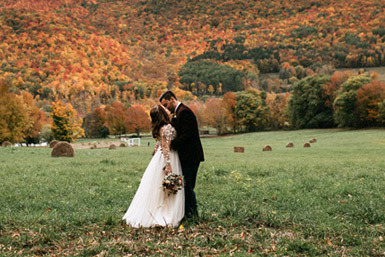 Founded in 1803 and steeped in a rich heritage of hospitality, Stone Tavern Farm marries vintage charm, sophistication and natural beauty in the heart of the Catskill Mountains in Roxbury, NY. 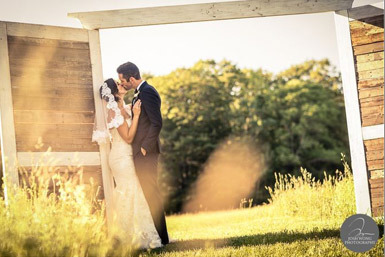 A scenic and chic destination for weddings and special events of all sizes, the magnificent horse farm offers 250 acres of rolling hills, a venue barn and stone guest house in a bucolic and welcoming setting. Copyright © . Stone Tavern Farm Events LLC. All Rights Reserved. All text, images, graphics, and other materials on this website are subject to the copyright and other intellectual property rights of Stone Tavern Farm Events, unless otherwise stated. These materials may not be reproduced, distributed, modified or reposted to other websites without the express written permission of Stone Tavern Farm.